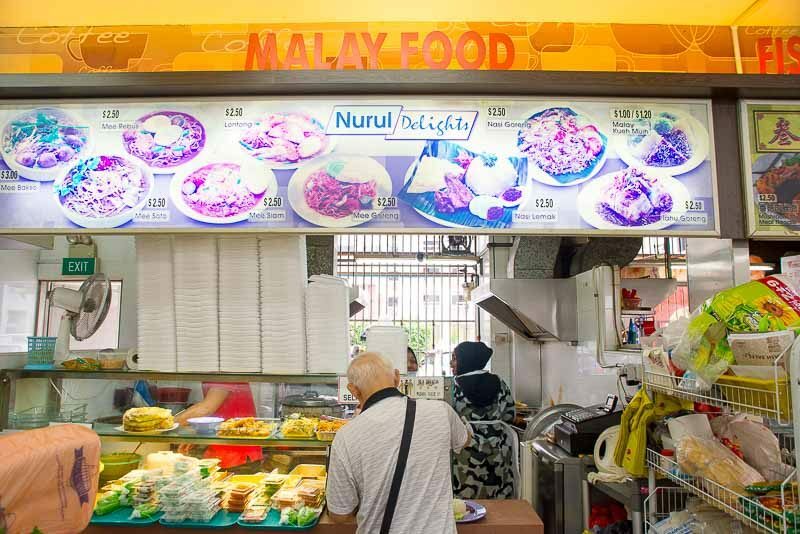 Located in a nondescript coffee shop in Bukit Batok, Nurul Delights is a well-loved Muslim food stall by the locals in the neighbourhood. 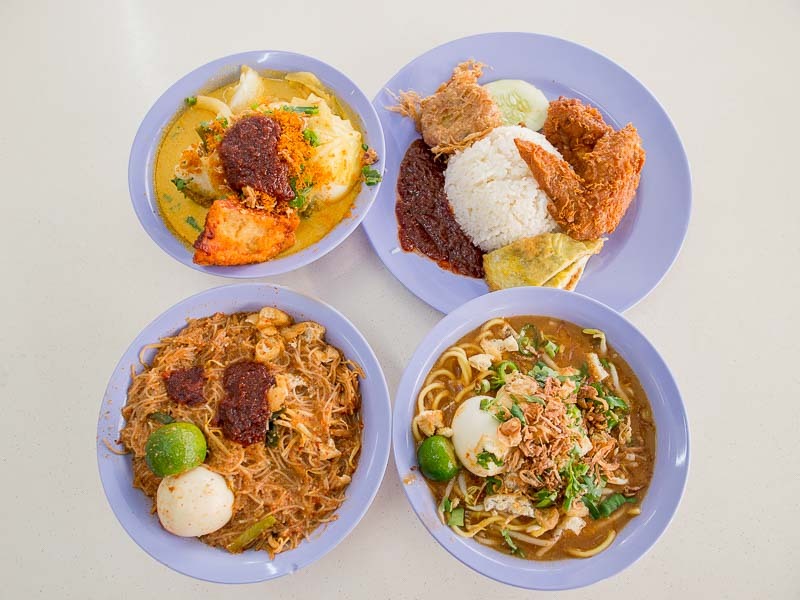 With common staples such as nasi lemak, lontong and mee siam, Nurul Delights draws a faithful crowd of return customers with its affordable pricing and generous portions. 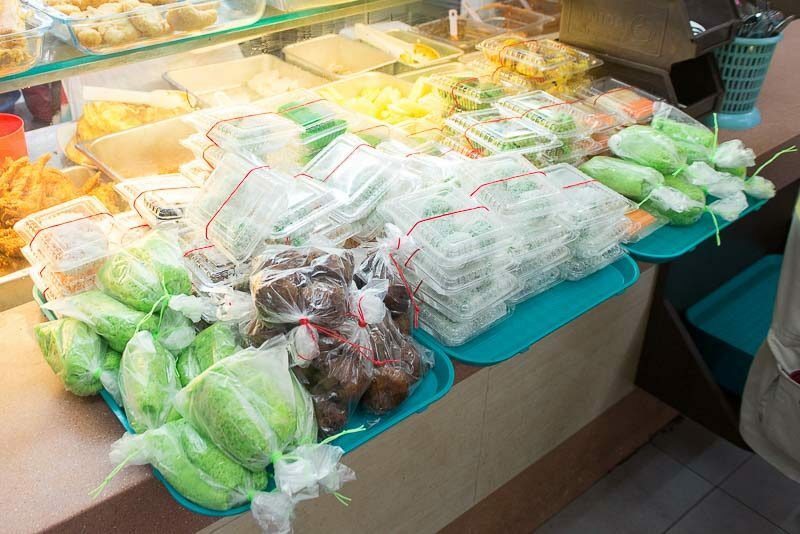 Aside from food, the stall also sells an assortment of kueh muih at around $1 for three pieces, which is very affordable. In fact, a brief chat with a fellow customer in the queue revealed that prices have never been raised throughout the years. 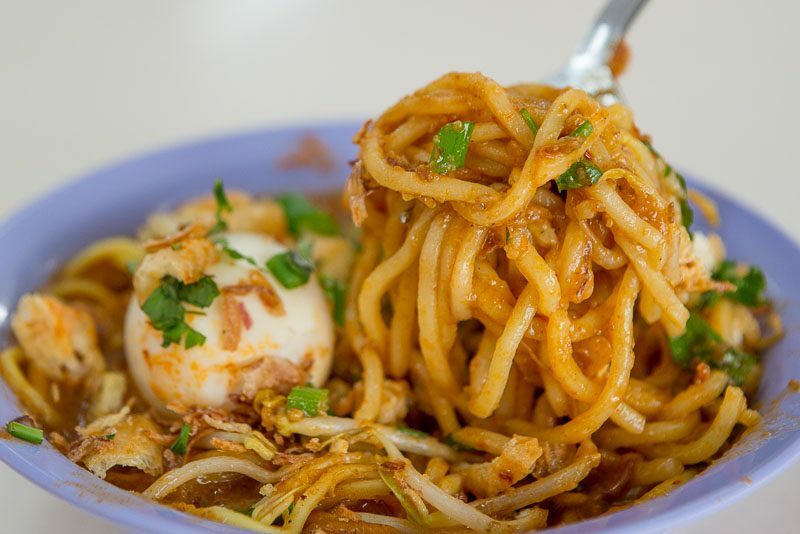 The Mee Rebus ($2.50) came in a pretty generous portion for its price and was topped with condiments such as fried shallots, coriander and green chilli. The chewiness of the noodles was just right — not too soft or hard. The beansprouts scattered throughout the bowl helped provide an additional layer of crunchiness. Unsurprisingly, the gravy was the star component of the dish. 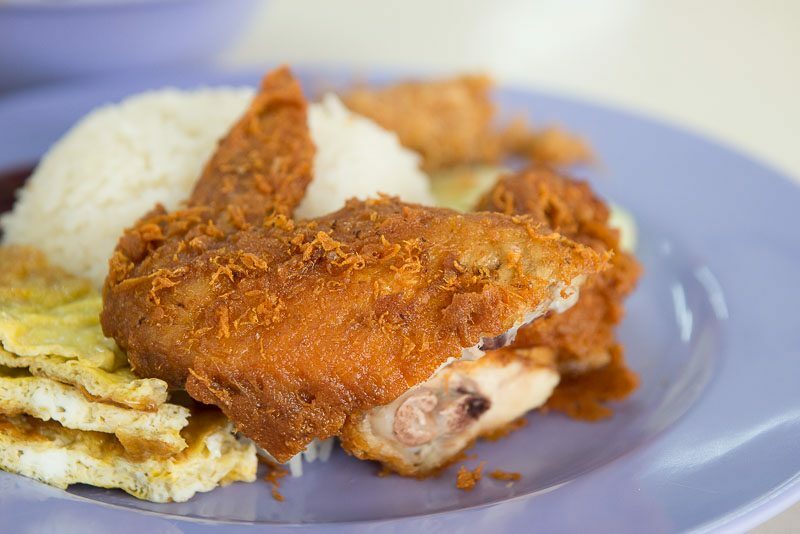 Comfortingly thick and savoury, I could smell the spices and dried shrimp added to the gravy. The calamansi was a much-needed addition in order to cut through the increasing heaviness of the dish. 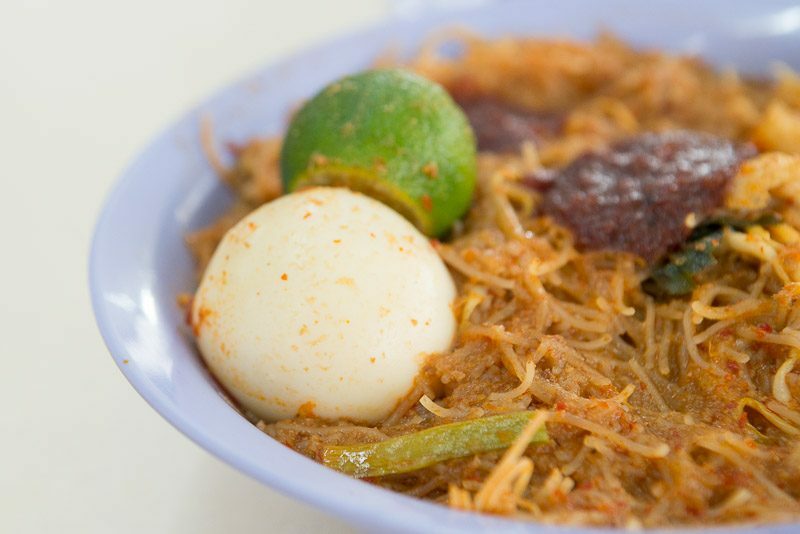 In similar fashion, the Mee Siam ($2.50) came a large serving of noodles as well. Squeeze over some calamansi juice and mix in the sambal for a spicy, savoury and tangy mouthful. 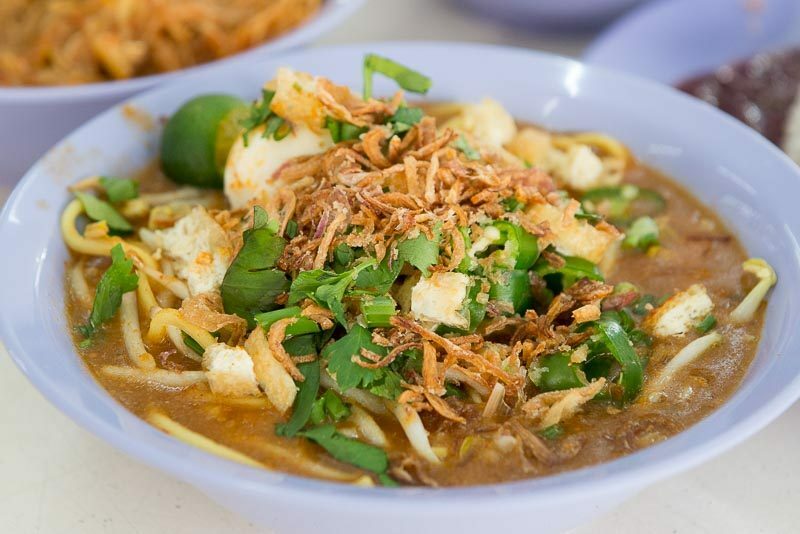 I especially appreciated how the mee siam gravy was only moderately sweet, unlike some other places that pile on the sugar with no restraint. Just remember to eat it quickly before the gravy dries up. 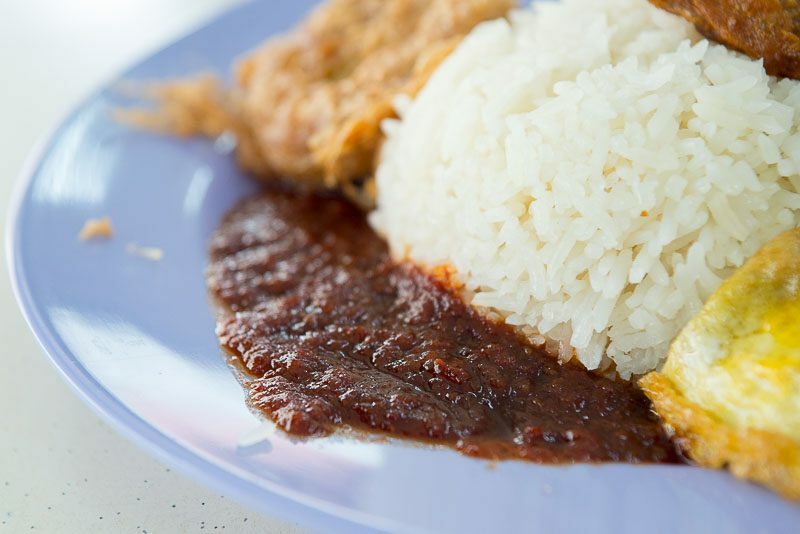 Among all the dishes here, the Nasi Lemak ($2.50) has to be the most popular — and it’s easy to see why. Every single grain of rice was firm and slightly chewy with coconut fragrance. 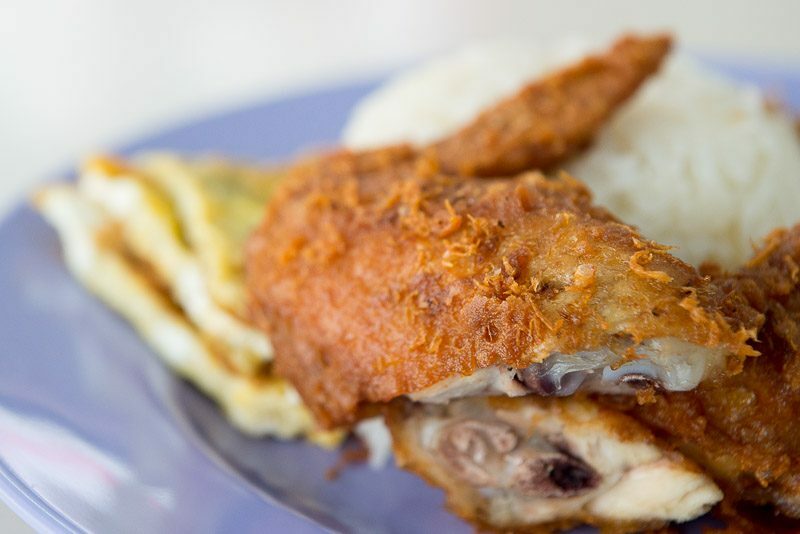 Together with the smoky and sweet-spicy sambal, this was comfort food at its best. The meat beneath the crunchy skin was juicy and tender. The size of the chicken wing itself was quite decent as well. Unable to resist adding on a Begedil ($0.50), I was not disappointed. With each bite, the crispy exterior gave way to a light and fluffy potato filling. 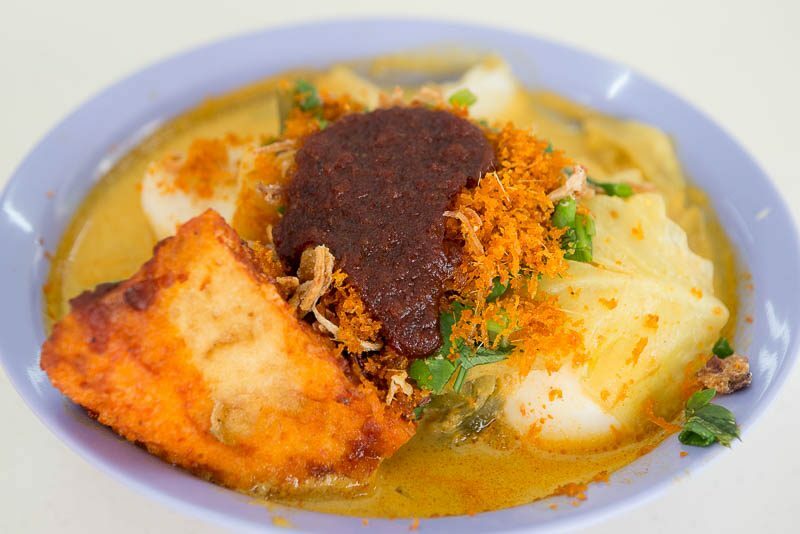 Lastly, we had a bowl of Lontong ($2.50) which again, came with a generous serving of vegetables, large chunks of lontong (wrapped rice) and a large piece of tau kwa (bean curd). Every component of this dish was great, from the tender cabbage and crunchy radish to the soft lontong that went well with the light and fragrant coconut gravy. 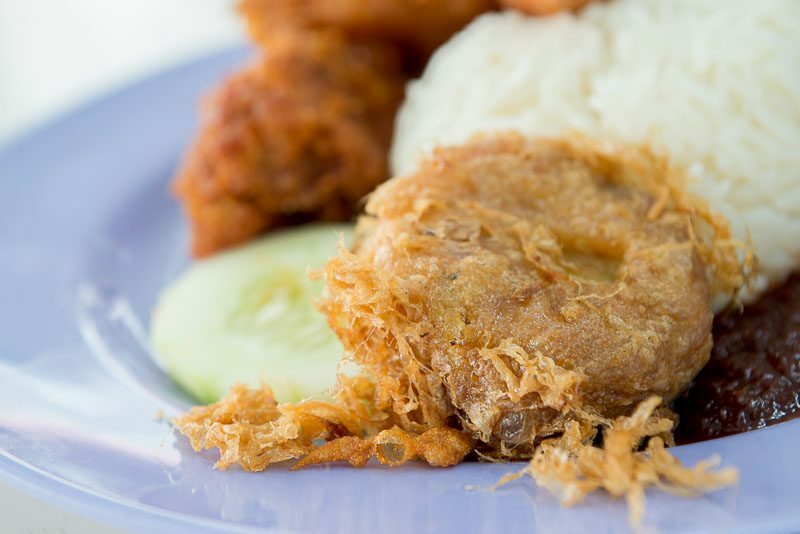 However, what makes this dish truly special has to be the serunding — the light orange chunks of spiced coconut flakes that lend a sweet-savouriness, different from the sambal. Overall, I definitely enjoyed my meal at Nurul Delights. In fact, this is my family’s favourite place for breakfast during the weekends despite the queues. After all, the food is cheap and good. What more can we ask for?